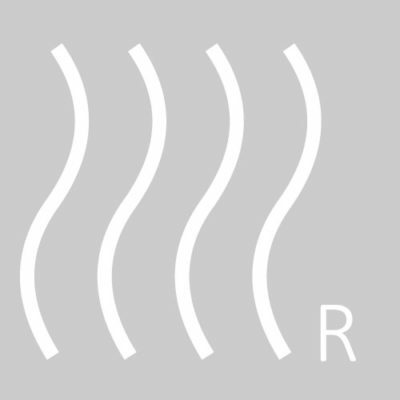 Since 1980, our bespoke steam baths stand out for their exceptional quality: the decision to concentrate our entire production in our plant in Albano Terme allows us to select the best materials,the ones that can ensure optimal thermal insulation (0.035W / mk), absolute waterproofness and maximum durability of our steam baths.The Customer steam bath line are suitable for both private and public spas; the structure is normally delivered without the mosaic, tiles or stone finishing, which is left to the customer, so that it is perfectly adapted to the context and architectural design. 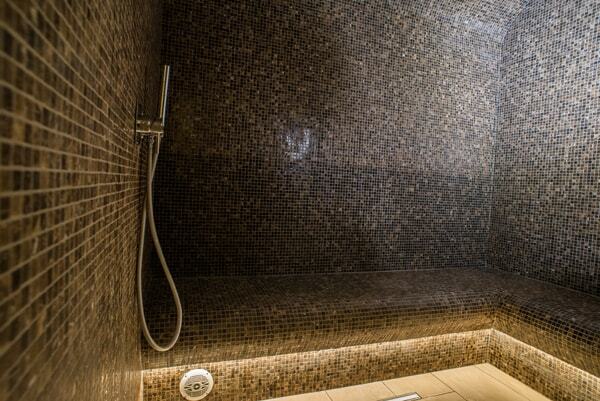 We make Turkish baths of any size at your choice and even standard dimensions. 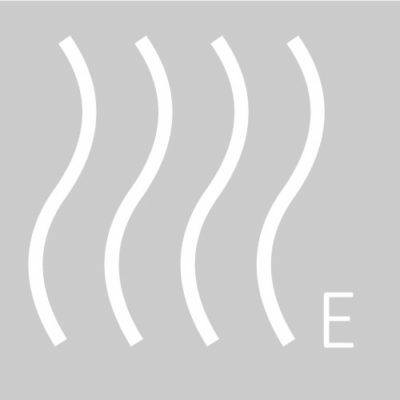 Fuctions: Automatic regulation of the temperature in the steam bath, control of internal light, automatic water conductivity reading, automatic cleaning of the limestone accordingly to water conductivity, daily/weekly timer, cleaning / disinfection cycle at the end of the working day, remote ON / OFF contact, remotable display (for Pro-E generators). 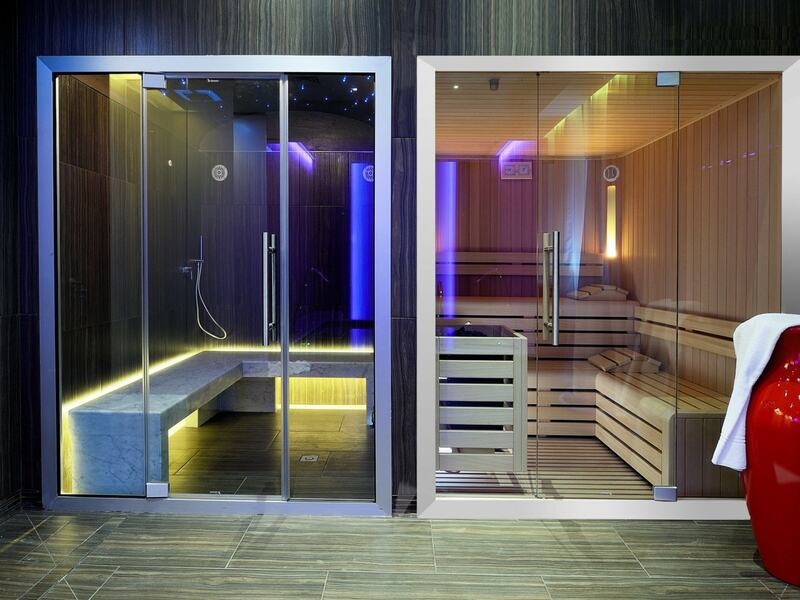 Professional steam generator for intensive and continuous use, it guarantees the correct steam quantity inside the cabin. 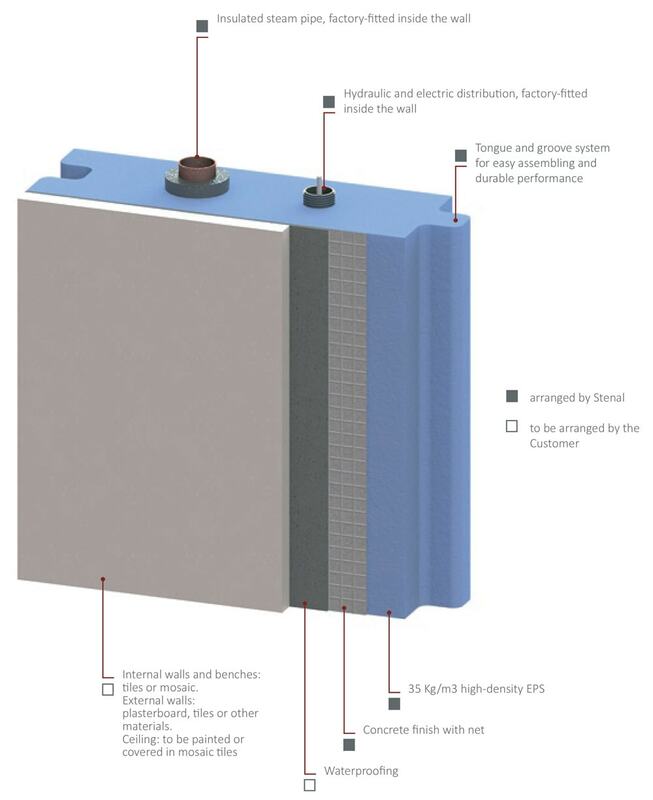 The steam generator must be installed in a plant room size approx. cm 100 lenght x 50 depth and equipped with a drain. The plant room must be nearby the steam bath. 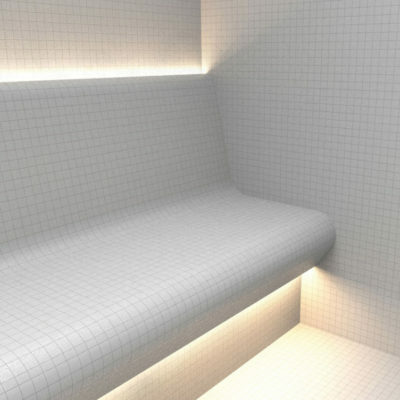 The standard bench model is the squared one without backrest; this one allows you to built a steam bath easily coverable in tiles or mosaic. 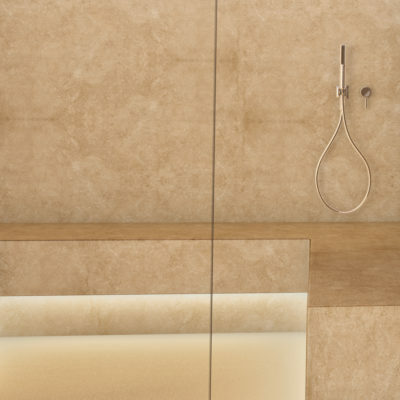 The handshower, that comes with a one-way, built-in mixer, is a standard accessory useful for refreshing and for cleaning the benches before starting the steam bath session. 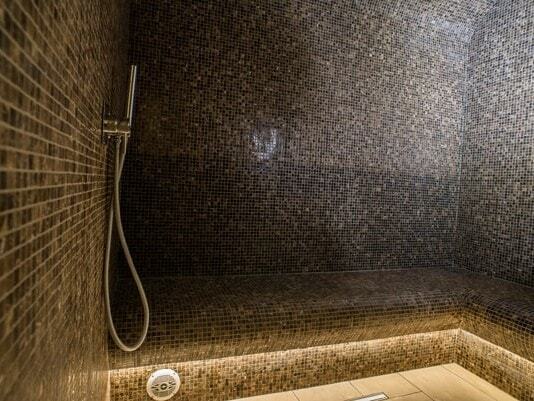 If the steam cabin is very big, we suggest to purchase an additional handshower. 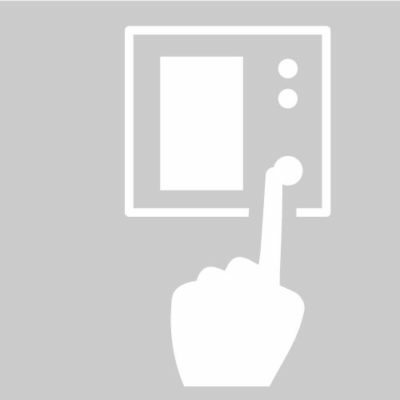 The automatic Aroma dispenser is provided as standard technique in our steam baths. 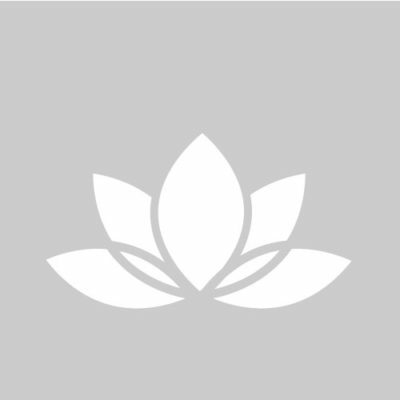 It must be located into the same plant room provided for the steam generator and is composed by a draft system and aroma mixing, which is usually provided by Stenal in tank or bottle. Since water dilution is carried out by the plant itself, we recommend using always the Stenal balsamic essences, rich in natural essential oils. 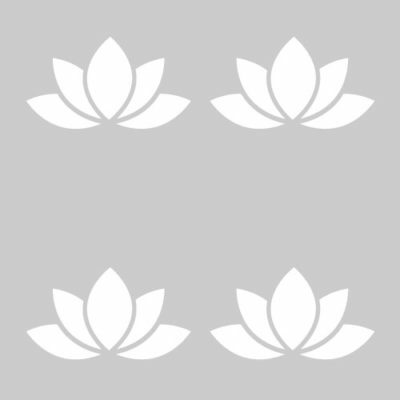 With instantaneous dilution, essential oils and water are mixed properly, so the scent spread inside the turkish bath releases all its balsamic beneficials. 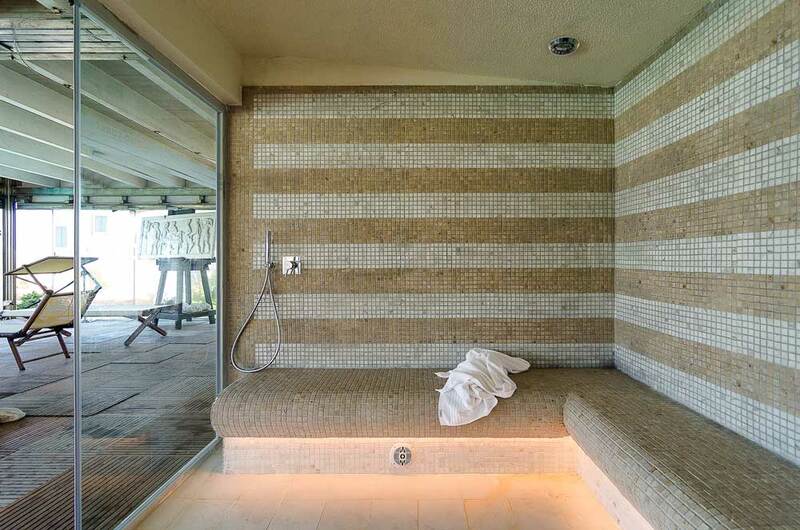 The down-facing lights create an evocative and suggestive effect.The indirect light endows the sauna with quiet intimacy. 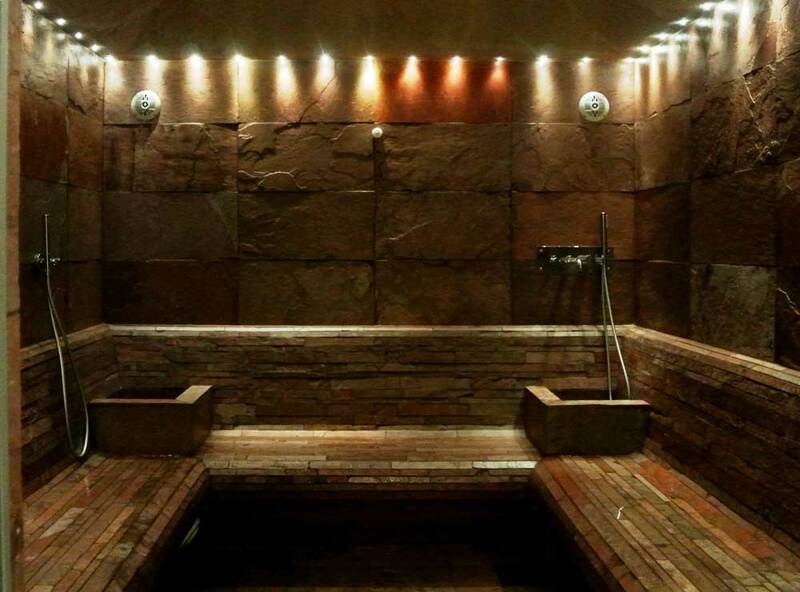 If there is softened or treated water supply or, on the opposite, there is a high level of limestone in the water, we provide a specific steam generator, the PRO-R model, that must be placed in a plant room next to the steam bath. This generator is equipped with an automatic cleaning system of limestone residuals and teflon-coated resistances, ensuring a professional and long-lasting performance even in these cases. Zephyr steam generator is the perfect solution for realizing your own domestic Turkish bath even in small spaces. Thanks to its compact dimensions, it does not require a plant room: it can be placed over the false ceiling of the cabin, turning it into a high-performance hammam. 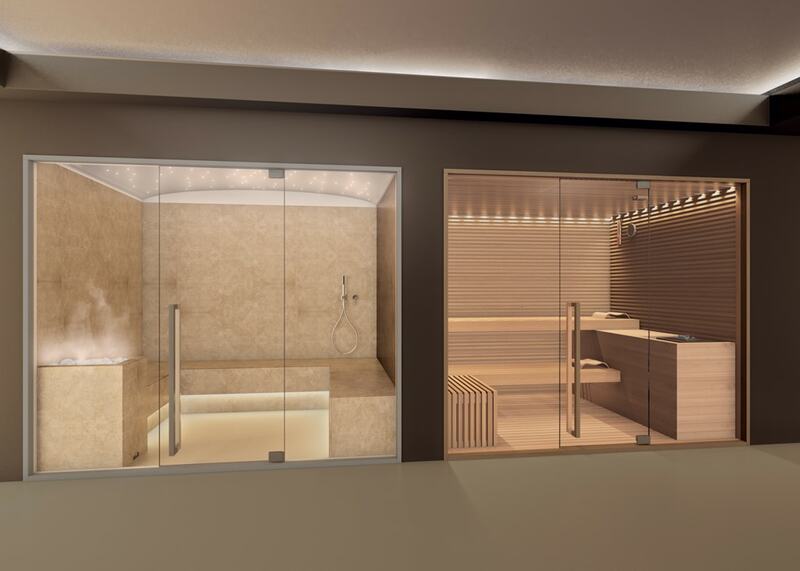 Zephyr is an efficient solution even if you want to transform your existing shower cabin into a Turkish bath. The rounded, ergonomic edge provides a comfortable seat, very suitable for mosaic tiling of modern and traditional-looking Turkish baths. Model C is the square bench also available in backrest version, ideal for relaxing also the back. 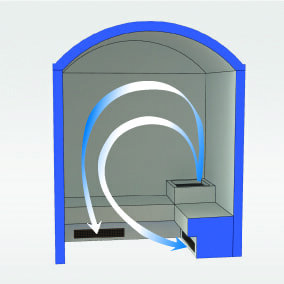 By choosing the type of the bench, you can customize your steam bath.Model D is the rounded bench B-model with the addition of the backrest. 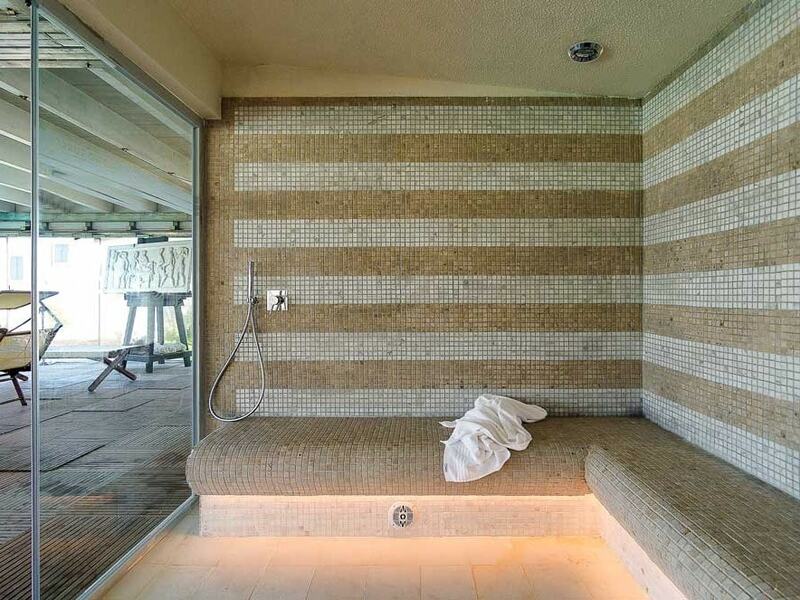 This type of bench suites at best the Turkish baths that will be tiled in mosaic. 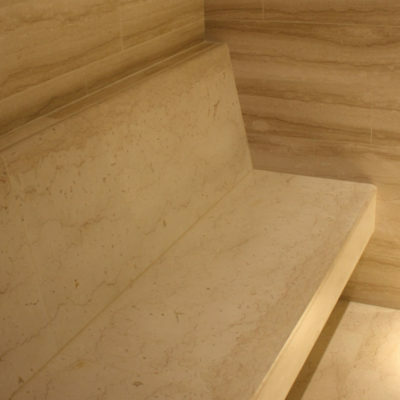 The suspended seat can be covered with different materials - marble, tiles, mosaic - and is provided with no backrest, in order to fit at best the Turkish baths with modern and clean design. 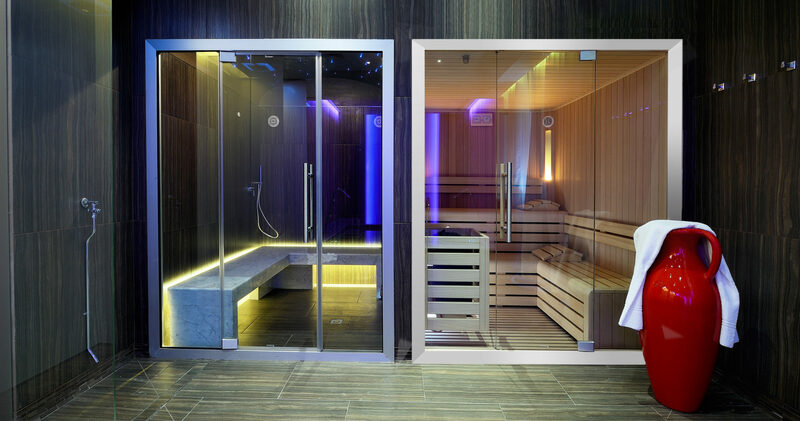 Air exchange system that mixes fresh air with steam and extracts exhaust air.Recommended for steam baths subject to intensive use.Advantages: consistent temperature gradient from the floor to the ceiling, constant air exchange in the cabin, dries quickly after use. 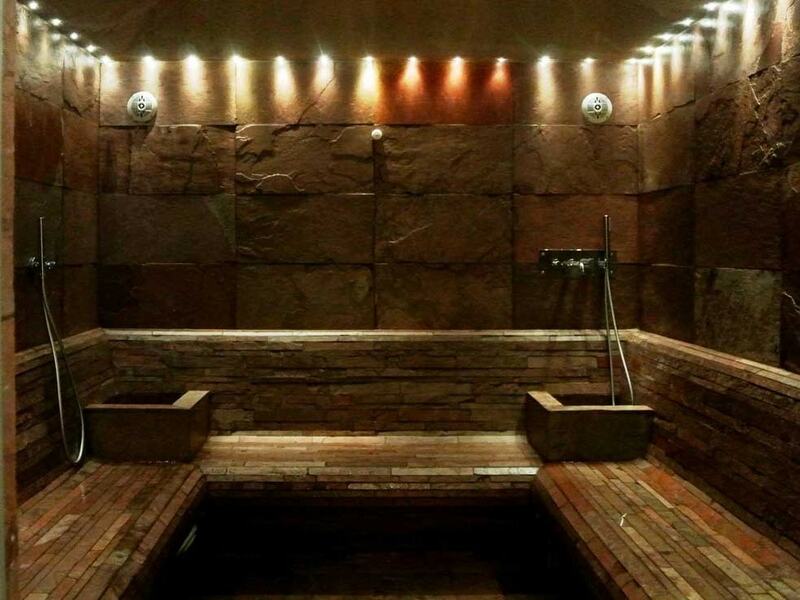 The Aromarium system, to be placed in the plant room, is meant to create up to four different aromatic situations inside the Turkish bath. 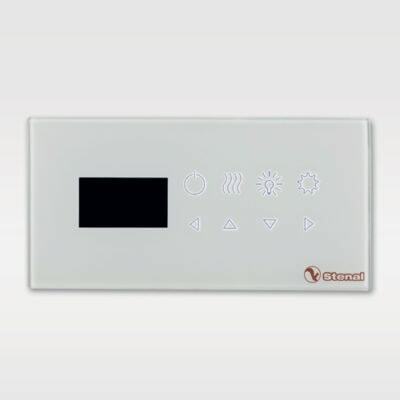 The control panel located inside the cabin allows the user to select the preferred aroma and experience therefore a new relaxation dimension in a refined Stenal Turkish bath. 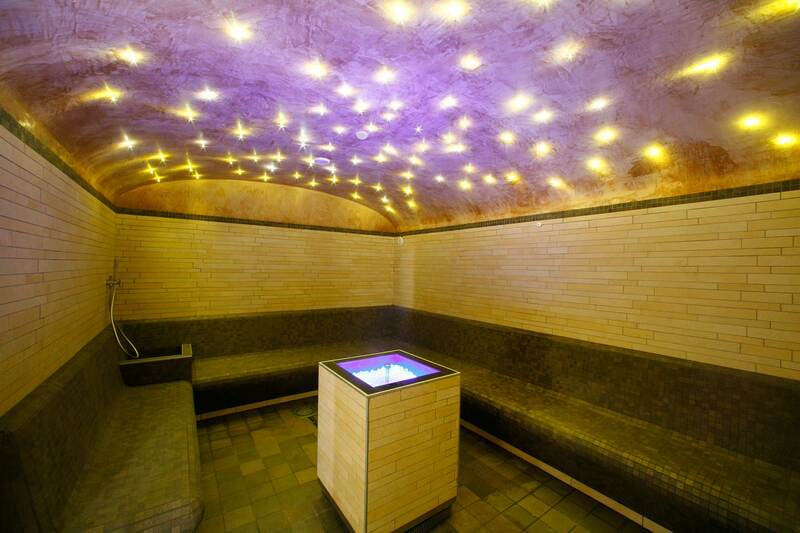 The Stenal Turkish bath is a multi-sensory space, involving all the five senses. That's why we think that music inside the cabin can enhance this extraordinary experience. 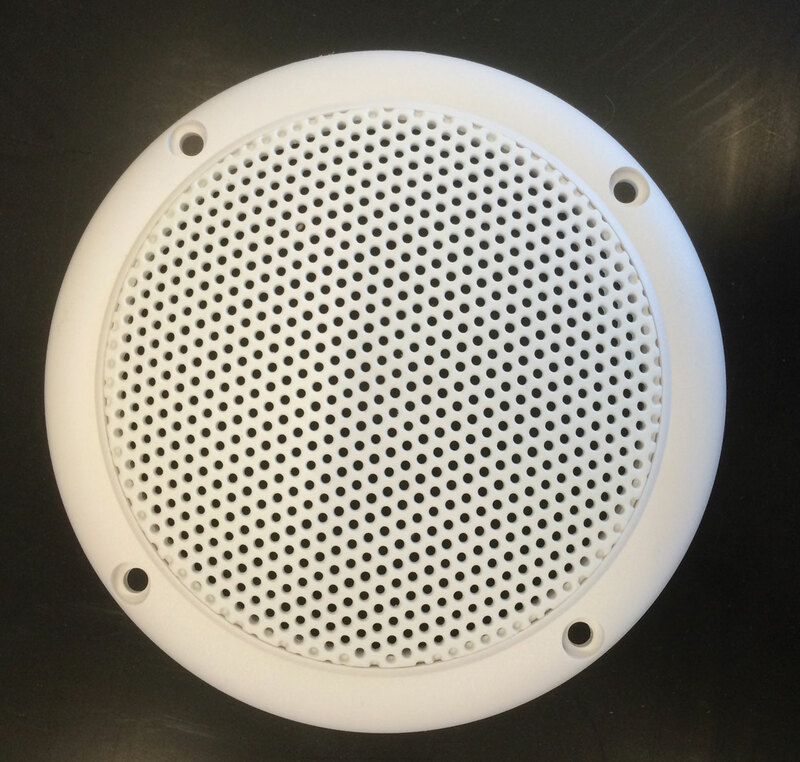 The loudspeakers are specially designed to withstand high relative humidity and temperatures around 40-45 ° C. You can connect the loudspeakers to your mp3 player, stereo, smartphone to spread inside the turkish bath your favourite music. 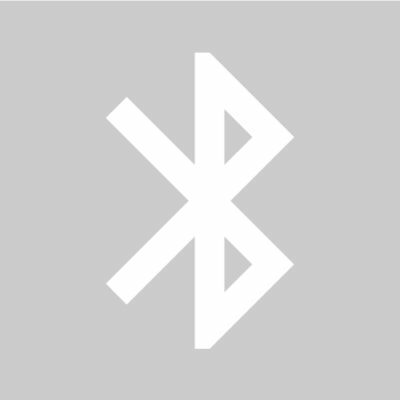 Bluetooth device with integrated amplifier, suitable for audio streaming from a mobile phone or MP3 player. Elegant and modern, warm white spot lights positioned along the perimeter ofthe ceiling help to relax and add brightness to the room without affectingthe intimacy of the atmosphere. 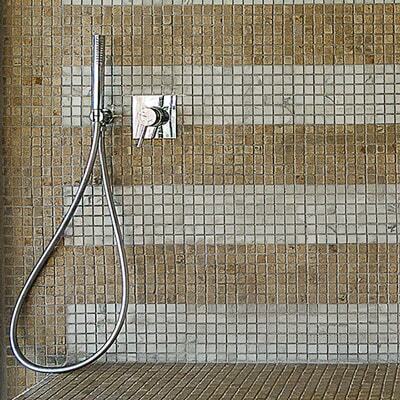 Mosaics and finishings are endowed with soft light that gently caresses the walls. 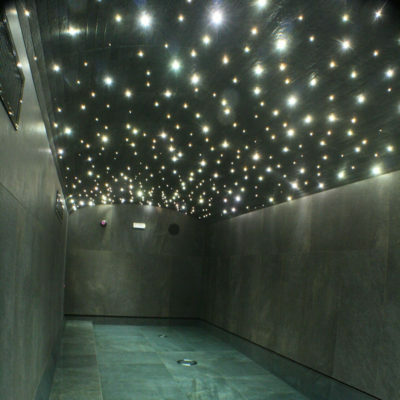 Multiple tiny tone-changing spot lights fitted in the ceiling to create unique light effects, with the option to control the colour settings and personalise themood. 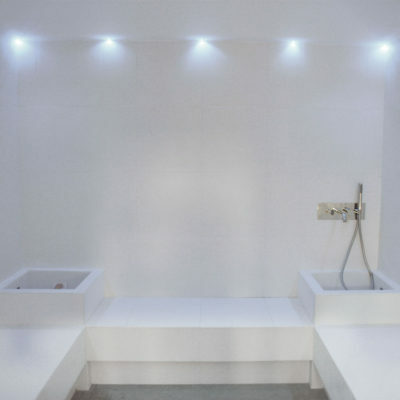 The extremely quiet lighting system ensures a relaxing atmosphere to fully enjoy the comfort of Stenal steam baths. 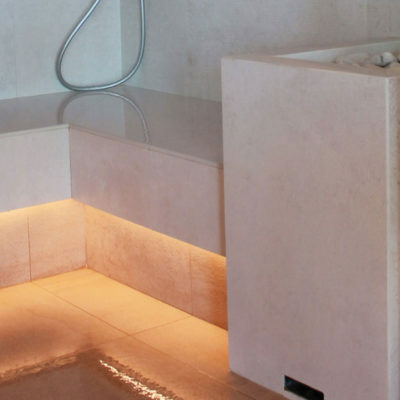 A constant and homogeneous light behind the backrest projects a soft,indirect light on the ceiling, ideal to fully enjoy the atmosphere and the magic of a Stenal steam bath. 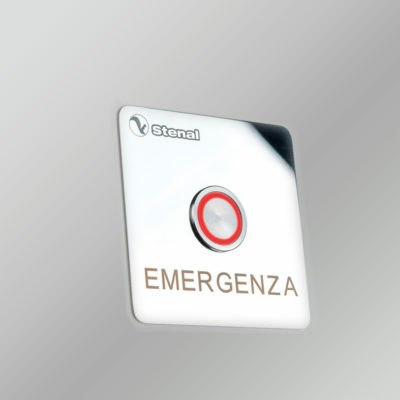 An emergency button that can withstand the high temperatures and levels of humidity of a steam bath; must be connected to an external signal (not provided).